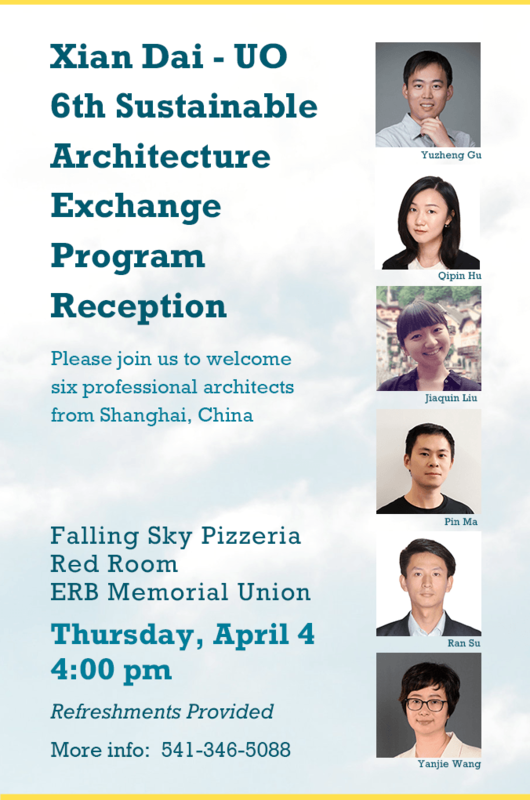 You are invited to enjoy refreshments and welcome visiting architects from ArcPlus Group PLC, also known as the Shanghai Xian Dai Architectural Group, one of the ENR’s “Top 150 Global Design Firms”. These architects have been selected for a sabbatical from thousands of staff as a reward for their excellent work. 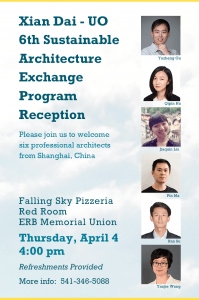 As part of an exchange that started in 2010, the architects will be coming to study sustainable design and Building Information Modeling during Spring term, and spend time in U.S. architecture firms in Summer 2019. During the summer, Oregon Architecture students will intern at ArcPlus and learn about architectural practice and Chinese culture.